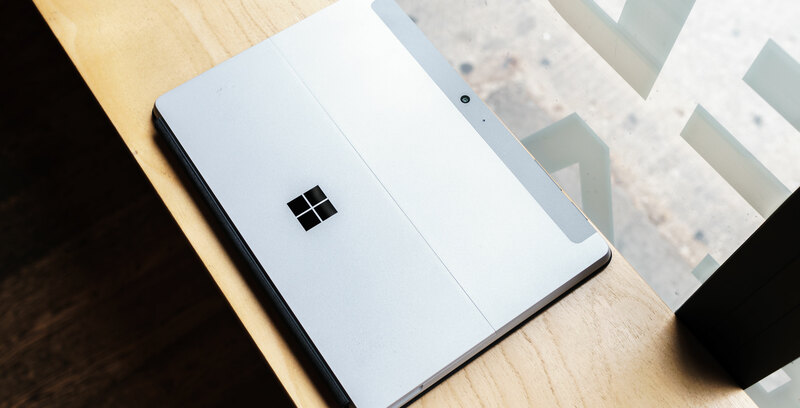 Microsoft has recently released the Surface Go, a low-cost 2-in-1 laptop-tablet hybrid. The U.S.-based company has positioned the new 2-in-1 as the perfect device for children and teens, or anyone who wants a smaller second computer. The Surface Go features a 10-inch PixelSense Display with a 1,800 x 1,200 pixel resolution. Further, the tablet features up to 8GB of RAM, up to 128GB of storage, and includes a 7th-gen Intel Pentium Gold Processor 4415Y and an Intel HD Graphics 615 graphics card. The Surface Go is available in two models, the base one with 4GB of RAM and 64GB of internal storage costs $529 CAD. Meanwhile, the more expensive variant, with 8GB of RAM and 128GB of internal storage, retails for $699. The Surface Go is an interesting tablet-laptop hybrid but is it worth it the cost? Microsoft sells the Type Cover separately at $169.99, making the lower model cost $699.98 with keyboard and the more expensive model $869.99. And while some tablet-laptop hybrid come with styluses, Microsoft sells that separately as well for $129.99. So adding that all together, the laptop starts at $829.99 for the base model. There are a variety of other Windows and Chromebook options that retail around the price. So the question remains, is the Surface Go worth the cost? And are you even interested in a laptop-tablet hybrid like the Surface Go? Let us know in the poll and the comments below.